2. The format for registering (via PM) for a team in the season must be correct. 3. If I do approve of it, I will assign the numbers to the car depending on how fast you register. #'s 1 and 2 are taken for the champion team. Ok question whatever happen to the rest of the Alpha Winter Series Season. Are you sure Cooper? 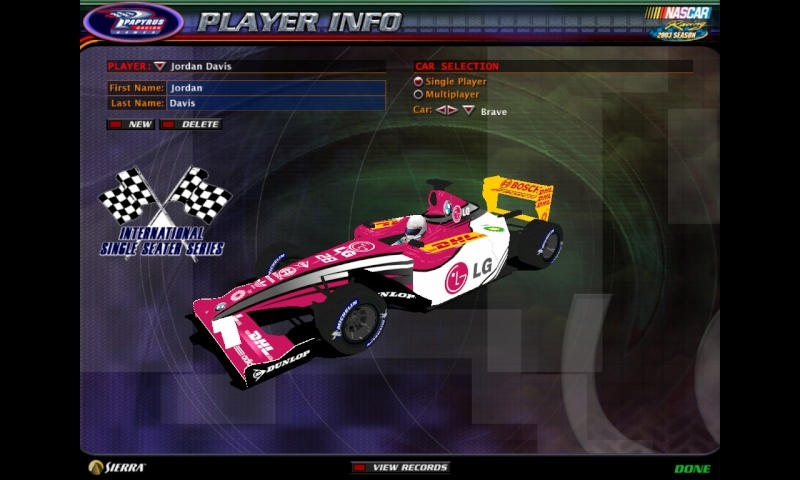 I mean you can own a team in Formula A. Thought about it a little more, I just messaged you the team. Barker Yashin, and Cicarelli Berakated. These drivers are very dynamic and could pull an easy win with trickery if challenged. Vicente Benítez has also crossed my mind. Want to drive the #3 for Ravenwest Motors? Sawyer Black is looking for a team. Would you want to drive the #23 for Red Stallion?